CCC intervention specialists sensitively and diligently works with the addict/alcoholic's loved ones to create a reasonable and safe plan of action. 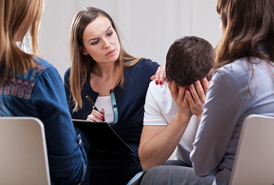 Our intervention services also include planning and facilitating the intervention meeting, coordinating treatment services based on the client's ability to pay or insurance benefits, supporting and guiding the addict and their family in the transition to the treatment center, ongoing communication with the treatment center, active involvement (if possible) at discharge, and outpatient aftercare counseling services. Compulsion or need to drink despite consequences. Complete lack of control. Continues despite severe losses and/or consequences. Since alcoholism and most other addictions are medical and psychological conditions, they proceed in a predictable path, from experimentation to severe addiction. Not everyone who uses a drug or drinks alcohol moves beyond social use. But for those who do, the above may be a helpful guidepost. 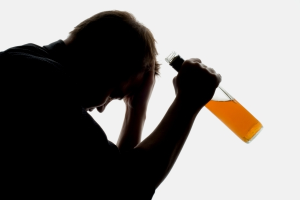 Daily alcoholic or addict – Drinks every day to the point of intoxication. Nightly alcoholic or addict – Waits for evenings to use to the point of intoxication. Weekend alcoholic or addict – Waits for weekend. Binge alcoholic or addict -- can be sober for extended periods of times, but when they do drink, loses control and drinks to a point of intoxication. CCC is proud of its diversity, clinical depth, and broad range of services through our Arlington Heights counseling. CCC's Sexual & Internet Addictions Treatment. Clinical Care Consultants specialize in and offer a range of counseling, behavioral health, addiction and psychological services to fit your needs. CCC provides counseling / psychotherapy from a variety of disciplines, theoretical orientations, and styles. Each of our clinicians, who average 19 years in the field, specialize in several counseling modalities, client populations, and problem types, including individual counseling, marriage / marital counseling, couples counseling, and group therapy. Clinical Care Consultants is proud of its diversity, clinical depth, and broad range of services in therapy and counseling. We are conveniently located in Inverness to serve the surrounding communities. Copyright ©2012-2019 Clinical Care Consultants • Virtualtech Website Design and Promotion, Inc.